How effective can incentives be in motivating people to change their behavior? John List, one of the country’s leading e experts on experimental economics and a pioneer in the use of field experiments, examines the things that really work in addressing major social, business and economic issues in a Lawrence University address. 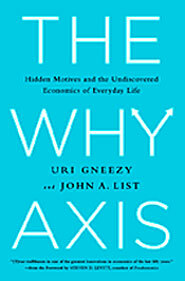 Based on his book of the same name, List presents “The Why Axis: Hidden Motives and the Undiscovered Economics of Everyday Life,” Tuesday, April 17 at 4:30 p.m. in the Wriston Art Center auditorium. The event is free and open to the public. Based on research conducted in factories, offices, schools and communities across the country and abroad, where real people live, work, and play, List observed people in their natural environments without their knowledge they were being observed. In his quest for better understanding of what motivates people and why, among the findings he discovered were ways to close the gap between rich and poor students, stop inner city school violence, correctly price products and services and the real reasons why people discriminate. 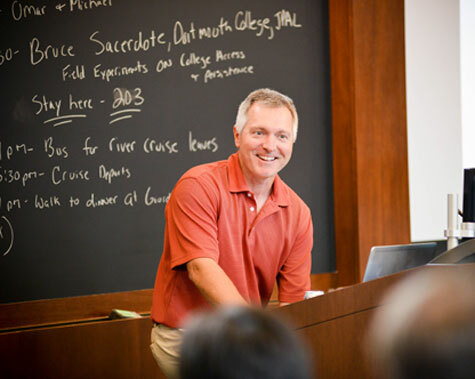 Originally from Wisconsin, List is the Kenneth C. Griffin Distinguished Service Professor of Economics and chair of the economics department at the University of Chicago. He is a former senior economist on the President’s Council of Economic Advisers and was twice named a top 50 innovator (2016, 2015) by Non-Profit Times Power & Influence. List earned a bachelor’s degree in economics from UW-Stevens Point and a Ph.D. in economics from the University of Wyoming. He’s been recognized by both institutions with Distinguished Alumnus awards.